What is the CheckUp At Home Wellness Test for Cats? 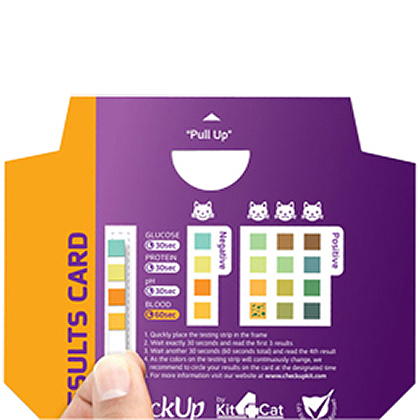 The CheckUp At Home Wellness Test for Cats is a quick and easy pet health test kit that allows you to detect the most common pet health issues right in your own home. In just 60 seconds, you can test your pet's urine for high glucose levels, urinary tract infection, kidney failure, and blood in the urine. Periodically checking your pet's urine may help prevent health deterioration with early detection of serious health threats. The CheckUp At Home Wellness Test takes the guesswork out of deciding when to seek veterinary treatment. 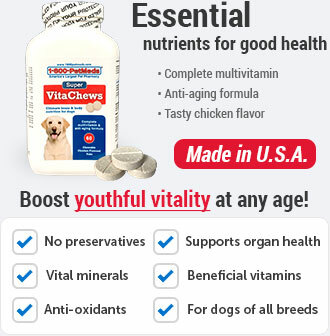 This is especially helpful in the care of aging and overweight pets. This easy, do-it-yourself kit comes with everything you need to cleanly collect and test your pet's urine in a non-invasive and stress-free manner. The CheckUp At Home Wellness Test for Cats includes special hydrophobic litter which causes urine to puddle atop the litter. It also includes 2 testing strips, one sample collection vial, one sample collection pipette, and an easy-to-read results card, which quickly indicates positive or negative results for each parameter. Urine samples may be refrigerated to bring to your vet for further examination within 48 hours of collection. 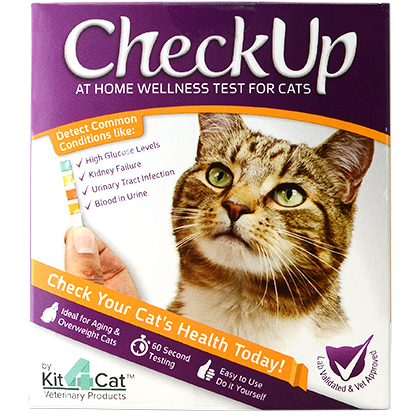 The CheckUp At Home Wellness Test for Cats is an essential tool for monitoring your pet's health. How does the CheckUp At Home Wellness Test for Cats work? The CheckUp At Home Wellness Test for Cats contains everything you need to test your pet's urine for high glucose levels, urinary tract infection, kidney failure, and blood in the urine in the privacy of your own home. Test your cat's urine on a regular basis for general health monitoring, or at the first sign of illness for early detection and swift veterinary treatment. The CheckUp At Home Wellness Test for Cats is an important tool in the care of aging or overweight cats, as well as those with known medical conditions such as diabetes, kidney disease or frequent urinary tract infections. Urine samples collected with the CheckUp At Home Wellness Test for Cats may be refrigerated and delivered to your vet within 48 hours of collection for further examination. The CheckUp At Home Wellness Test for Cats should not replace a visit to your vet, or annual routine visits. 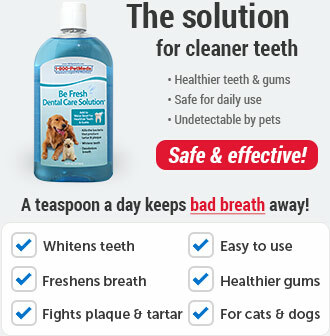 CheckUp is ideal for in between routine visits or for pet owners that require frequent urine collection by their vet. 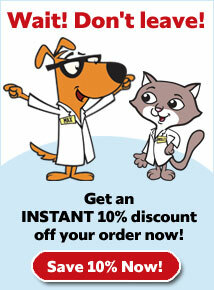 CheckUp is not designed to diagnose a problem or to replace a visit to your veterinarian. We recommend you call your veterinarian for more information and consultation on the results of your pet's test, positive or negative. 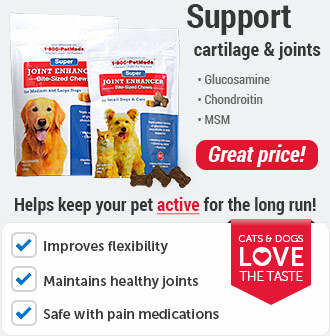 A positive result for any of the above parameters can have serious implications for the wellness of your cat which should be discussed with your veterinarian. Allow your cat to urinate freely on the hydrophobic litter. Collect a urine sample - Easily collect urine from the top of the sand with the pipette. Fill the vial using the pipette to at least 3/4 full. The results card is located inside the box. Detach this before conducting the test for easy reading and color comparison. The colors on the test strip continuously change, so reading the results at the times designated on the results card is of the utmost importance. Dip the strip into the collected urine in the vial. Make sure all squares on the test strip are submerged. Once you have dipped the strip in the collected sample for two seconds, and all four squares having been submerged, quickly place the strip on the reading card for close reference to the color chart. It is recommended to use a clock with a second hand or a stopwatch to assist in accurate timing as you read the results. Since the colors change, only the color present at 30 or 60 seconds respectively will reflect the result. Wait exactly 30 seconds and read the first 3 results by comparing the colors on the test strip to the colored squares on the Results Card. Circle the color that most closely resembles the result present on the diagnostic strip for the first 3 parameters. Wait another 30 seconds (60 seconds total) and read the 4th result (presence of blood in urine). Since the colors change, only the color present at 30 or 60 seconds respectively will reflect the result. As the colors on the testing strip with continuously change, we recommend you circle your results on the Results Card at the designated time. Keep the sample if necessary. Close the vial with the cap and keep the sample in the refrigerator for up to 48 hours. 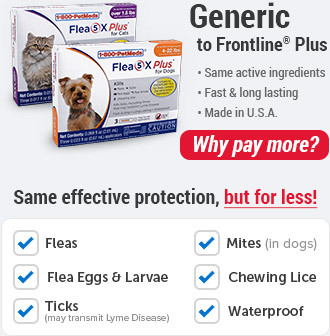 If the test shows any positive results, take the sample and your pet to your veterinarian for further evaluation. Before pouring the hydrophobic litter, make sure the litter box is clean and empty. It is extremely important to read the results according to the outlined time frames. Please note that the colors on the diagnostic strip will continuously change. 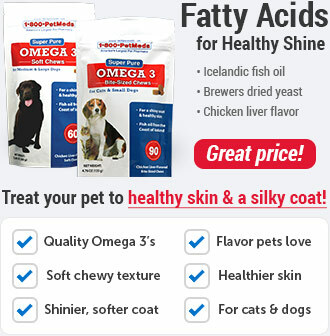 Refrigerated sample can be sent for further evaluation in up to 48 hours following collection. 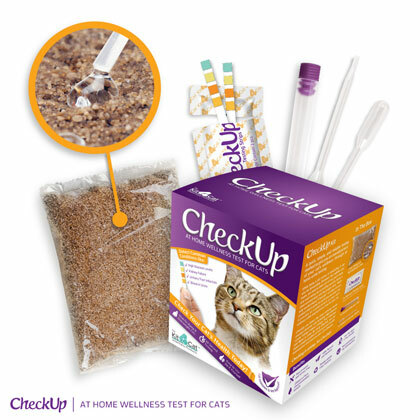 The CheckUp At Home Wellness Test for Cats hydrophobic litter and test strips are for one time use only and should not be used for multiple tests. One 2-lb bag of Hydrophobic Litter, 2 Identical Testing Strips, 1 Sample Collection Vial, 1 Sample Collection Pipette, 1 Results Card.